Open Call: Read all instructions thoroughly! * Please submit headshots, bio and reel to: Akash Mihani, mihaniakash@gmail.com. Or provide links to same. 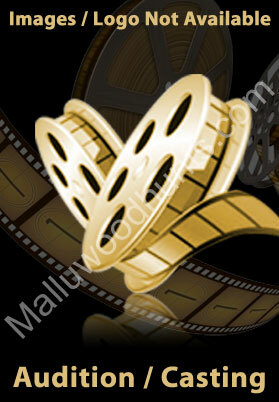 * Reels must be on personal website and or casting site and and or IMDB, or sent as attachment. * NO YOUTUBE VIDEOS OR LINKS TO FACEBOOK, TWITTER OR INSTAGRAM. * All talent must be able to dance Indian style and modern dance. A video of a dance performance is required. * All talent must be able to speak english fluently and should be able to do different accents. * Talent must be in the Mumbai area or be willing to work Mumbai day rate. * Do not apply if you do not exactly fit the specified criteria. 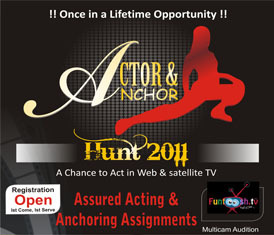 NOTE: All talent must audition either by Skype or submit a video audition for their proposed role. This is a ULB short film. Meals provided. The film is intended for submission to film festivals, following festival run will be streamed online. * There will be no overtime. * There will be no travel or mileage compensation. * There will be no lodging or accommodations provided. * Talent must be willing to engage in contract and be available to shoot in late July 2018, date to be determined. tbcp72 Enter the letters as they are shown in the image .